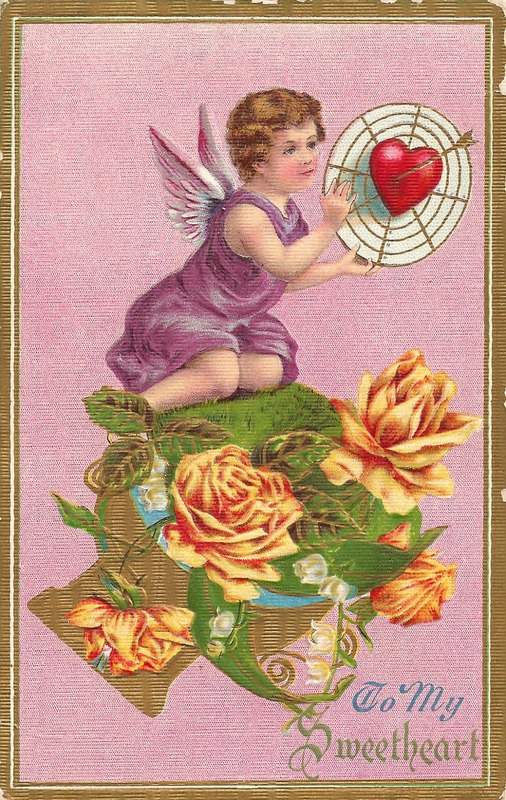 Aren't the colors of this vintage Valentine postcard beautiful?! 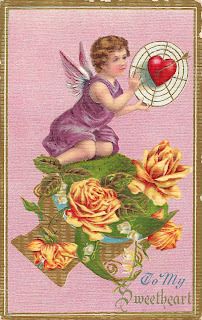 I might be a bit biased because I love purple, but this is a lovely Valentine's Day greeting! Again, the mix of purple and yellow is one of my favorites and work so well together. With the distressed edge of this postcard, this image would make a lovely gift tag. Enjoy!